In just a few months, Kingdom Hearts is slated to be released! A new video was uploaded by Square Enix on Saturday which features the world of Disney’s Tangled called “Kingdom of Corona”. The video was first released to the public during the Lucca Comics & Games 2018 event held in Lucca, Italy. Kingdom Hearts III will be released for the PlayStation 4 and Xbox One on January 25 (Japan) and January 29 (West). The following confirmed worlds in the game are Toy Story, Big Hero 6, Monsters Inc., Tangled, Frozen, and Pirates of the Carribean. Square Enix also confirmed the return of the Olympus Coliseum world. The opening theme song titled “Face my Fears” will be a collaboration of music producer Skrillex, Japanese singer icon Utada Hikaru, and record producer Poo Bear. Utada will also be singing the ending theme song titled “Don’t Think Twice” (“Chikai” or “Oath” for the song containing Japanese lyrics). During Tokyo Game Show in September, game director Tetsuya Nomura said the upcoming game is “most definitely not the end of Kingdom Hearts.” He is also expressed that he wishes to continue Sora’s story and confirms that the final game will have a Xehanort as the main enemy. Kingdom Hearts III will also have a secret movie and the game staff is still deciding on where to where to implement it into the highly-anticipated game. If you want more hype, the franchise is getting a Kingdom Heart VR Experience game which will be launched this holiday season for free in English. Sony will also release VR experience of two songs performed by Utada Hikaru this winter which is from her recent concert tour that happened this year. 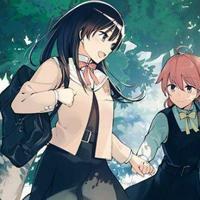 Bloom Into You is currently one of the most-popular yuri series, even ranking second in a popularity poll done by the Akiba Research Institute. Its manga and TV anime series proved to be huge successes, and now the beloved yuri manga is set to be adapted into a new medium: a live-action stage play. 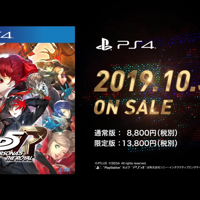 A previous article in this website reported Atlus’ promise of revealing new details about the much-hyped Persona 5 The Royal at the Persona Super Live 2019 Concert… and boy, did good ol’ Atlus deliver well. The 2nd in three planned films for Kyoto Animation’s school band anime Sound. 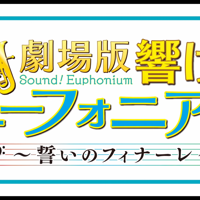 Euphonium is already showing in Japanese theaters (it started showing on April 19). As part of continued promotions for the movie entitled Gekijōban Hibike. The June issue of Shueisha’s Bessatsu Margaret magazine has just revealed that Io Sakisaka’s popular shoujo manga Omoi, Omoware, Furi, Furare will be getting both an anime and live-action film adaptation. Just a few days after news of the death of Lupin III’s creator, Kazuhiko Kato, we get another unfortunate news of a manga writer’s passing. 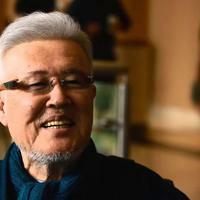 The official Twitter account of longtime manga creator Kazuo Koike has just announced that he has succumbed to pneumonia this Wednesday. 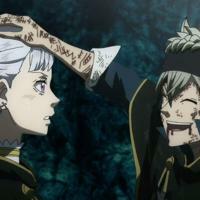 The Asta &amp; Noelle pairing is arguably the most popular Black Clover ship—after all, Asta obviously cares for her and there is the fact that Noelle does have romantic feelings for Asta. 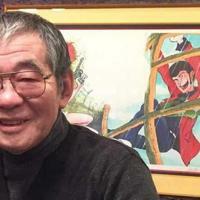 Kazuhiko Kato, the highly respected manga artist and the creator of anime classic Lupin III, has just passed away at age 81. He is known to most by his pen name Monkey Punch. Reports indicate that he passed away on April 11 due to pneumonia. 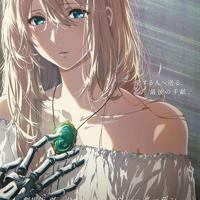 Kyoto Animation has just released a teaser trailer for the Violet Evergarden the Movie, with the announcement that the film project will be released on January 10, 2020. 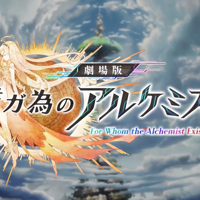 Just this Wednesday, a new trailer for For Whom the Alchemist Exists was released in the Anime. Anime. website and Youtube channel. The anime film is an adaptation of the hit smartphone game The Alchemist Code. Honestly, the zipper on Rilakkuma’s back is quite the mystery—why would a stuffed brown bear have one in his back, and more importantly, what does it conceal beneath. 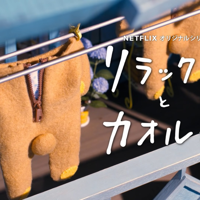 This question is further teased in the newest PV for Netflix’s Rilakkuma and Kaoru animated series. 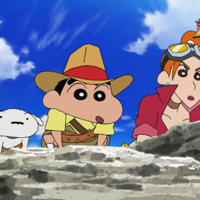 Crayon Shin-chan’s newest movie, Eiga Crayon Shin-chan Shinkon Ryokō Hurricane ~Ushinawareta Hiroshi~ (Crayon Shin-chan the Movie: Honeymoon Hurricane, Lost Hiroshi), has just released a new promotional video. In solidarity with Parisians and the rest of the world who are affected by the damage wrought on an historical &amp; art heritage, French game developer Ubisoft will be giving players the chance to experience the Notre Dame Cathedral. 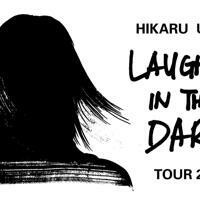 Good news to all non-Japanese fans of the pop superstar: Netflix is set to stream Utada Hikaru’s Laughter in the Dark concert tour. Netflix will be streaming the December 9 date held at the Makuhari Messe in Chiba City. Catholics all over the world are currently commemorating the passion and death of Jesus Christ, so while they’re at it, let’s release some Jesus-related news, shall we. 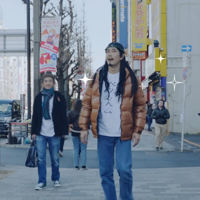 Then we’ll mix it up with a little Buddhism on the side, and we’ll get… …Some Saint Young Men news. 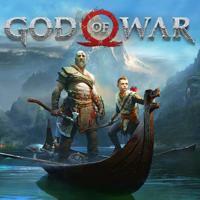 The hit PlayStation 4 game God of War is celebrating it first anniversary this week. As part of the celebrations, special commemorative content to fans such as a free dynamic theme and several Avatars on the PS4 were released via the PlayStation Store by Santa Monica Studios. 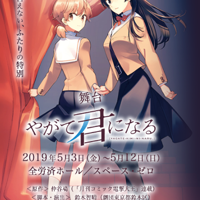 Sad news for fans of the hit yuri manga Bloom Into You (Yagate Kimi ni Naru): a picture taken from the latest issue of Dengeki Daioh announced that the beloved yuri series will be ending on volume 8. The final volume will be released on November 2019. Can’t get enough of the favorite blue cat Doraemon. Now he will not only be conquering TV and cinemas, he will also be available in your favorite gaming consoles. 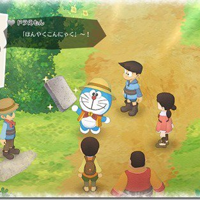 It was announced on Tuesday by Bandai Namco Entertainment America that they will release the video game titled Doraemon: Story of Seasons (Doraemon: Nobita no Bokujō Monogatari) this Fall. Dragon Ball FighterZ continues to be an exciting hit fighting game for fans as another DLC, Dragon Ball GT Goku, is confirmed to be released in May. He will be part of the new “FighterZ Pass 2” season. 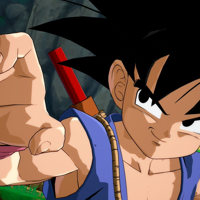 A new gameplay trailer was upload on Wednesday by Bandai Namco Entertainment which previews the DLC character Goku from the popular Dragon Ball anime franchise, Dragon Ball GT. 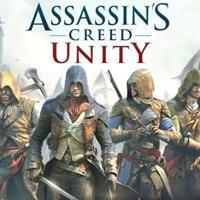 The DLC will be officially released for the game on May 9. 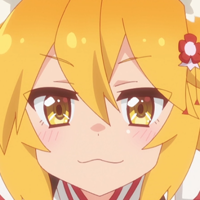 The current ongoing anime series The Helpful Fox Senko-san can now be streamed via popular anime streaming website Crunchyroll. New episodes will be streamed every Wednesdays at 10:30 am EDT. The series is available for streaming in the following countries: Canada, United States, Australia, Ireland, Iceland, the United Kingdom, South Africa, the Netherlands, Norway, Sweden, and Denmark. 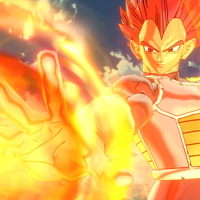 Dragon Ball fans get hyped as Super Saiyan God Vegeta will be added as a DLC in Bandai Namco Entertainment’s Dragon Ball Xenoverse 2 video game. This was confirmed in the June release issue of V Jump magazine that was released on Saturday. ‘Doraemon: Story of Seasons’ Video Game to be Released This Fall! ‘Dragon Ball GT Goku’ Enters ‘Dragon Ball FighterZ’ as DLC in May! 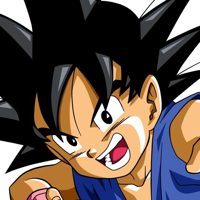 Ani.ME is the premier anime social network and streaming website. Fans can connect with fellow fans, watch anime, discover anime conventions, and more.